Costume Designers working in contemporary films ignited entire fashion movements. Designer Joe Aulisi’s dashing leather jacket for Richard Roundtree in “Shaft” (1971), and Ruth Morley’s famous eclectic layered menswear for Diane Keaton in “Annie Hall” (1977), still resonate. 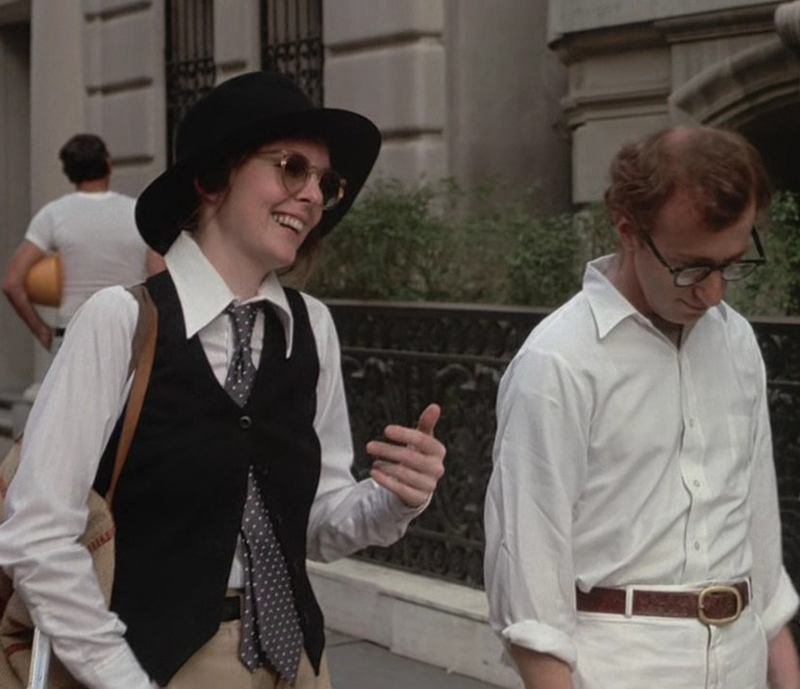 “Annie Hall” defined an era, establishing a new vocabulary for alternative glamour. The suit vests, men’s shoes, baggy pleated pants, knotted ties, and floppy hats imbued Keaton’s character with a romantic, asexualized innocence: “She always seems a bit like a child playing dress-up,” Keaton mused. No sooner had the movie been release than the “Annie Hall look” became a fad, and Ruth Morley’s androgynous mix was coveted by women across the nation. One observer said that “Annie Hall” had done as much for pants in her time as Marlene Dietrich and Katharine Hepburn had before her. Be it menswear or not menswear inspired, the big trend is the pants. Some looks are feminine, some are masculine, and some are even asexual. Just be sure to find whichever style inspires most and make the pants work for you this Spring. So here the Spring 2011 Ready-to-Wear collections featuring menswear inspired looks, in alphabetical order. Annie Hall (1977) MGM | Costume Designer, Ruth Morley | Director, Woody Allen.